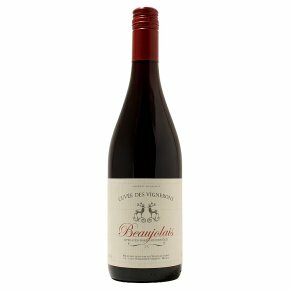 Beaujolais is one of France's best-known, best-loved red wines and is made from Gamay grapes, which thrive on the gently rolling hills of the region. A versatile wine with food as it pleases most tastes and goes well with chicken, lamb or cheeses. Especially good with charcuterie.